Course Description: Differential equations are equations that relate functions and their higher order (partial) derivatives. They provide a natural language and set of tools through which we can describe and explore the world around us. 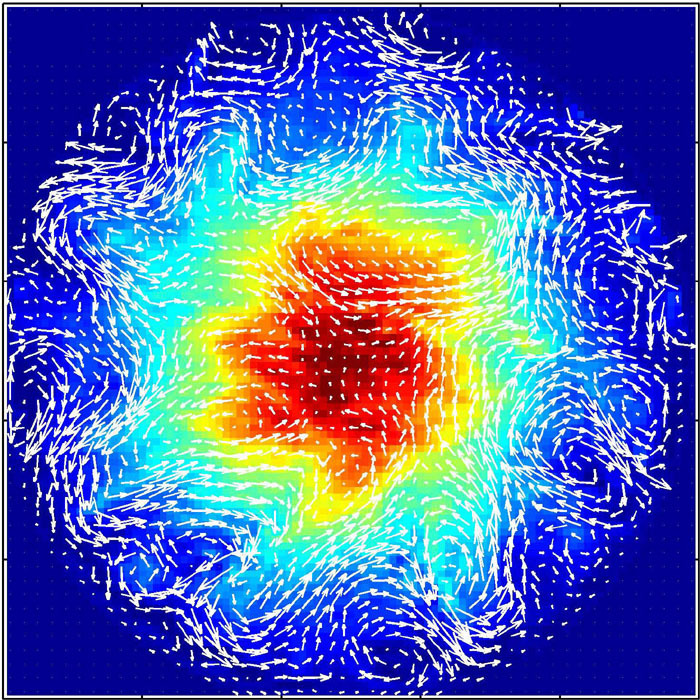 For instance, in mathematics and physics differential equations can be used to describe the path that light will travel in exotic geometries. In engineering differential equations can be used to model how a bridge will twist under stress. And in finance, (stochastic) differential equations are used to help price financial derivatives (e.g, options, futures \& credit derivatives). This course will focus primarily on methods for obtaining exact solutions to various types of differential equations, but (as time permits) we will also explore means of ferreting out qualitative information about solutions based on the form of the differential equation. Topics will include some of the following. Prerequisites: Math 13 plus a strong interest in mathematical ideas and their applications. If you are unsure about your preparation please speak with your instructor as soon as possible. Target Audience: This course should be of interest to students in mathematics, physics, engineering and the social sciences. 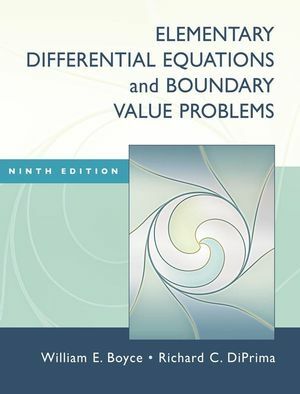 Textbook: Elementary Differntial Equations & Boundary Value Problems (Ninth Edition), Boyce & DiPrima, Wiley 2009. (available at Wheelock Books). Tentative Syllabus: This syllabus is subject to change, but it should give you a rough idea of the topics we will cover this term. (tentative) Deliverables & (tentative) Grading Guide & Policies: The following will comprise the written assignments for this term. Daily Reading: Corresponding to each class topic there will be a reading assignment which should be completed before coming to class. Weekly Written Homework: There will be weekly homework assignments for this course which in general will be assigned on Wednesday and collected the following Wednbesday at the start of class. No late homework will be accepted (see "Personal Day"). Each Assignment will be divided into two parts nad it is required that you hand in a separate write-up for each part. You are encouraged to collaborate with other memebers of the class, but your final write-up must reflect your understanding of the material and you must acknowledge people with whom you consulted. Final Exam: Tuesday, March 12, 3-6 PM, Location TBD by Registrar, (Closed Book). Please note that the final will be a cumulative exam. Exam Conflicts:If you have a legitimate conflict with one of our scheduled exams, you must inform your instructor verbally and via e-mail at least one week beforehand. For example, if you have a comflict with Exam I, you must inform your instructir via e-mail by January 23. Personal Day: During the course of the term things will come up. You might catch a cold, have a miserable day, or just have a sudden attack of lethargy. All of these things can temporarily impair your ability to and desire to do your work. For this reason, each of you will be granted one personal day. That is, we will drop your lowest homework score of the semester in order to smooth out a minor bump during the term. Therefore, we will not accept late homework, except in the event of a major crisis (e.g., family issues, protracted illness, etc.). In the evnt of a major crisis, you should speak with your instructor so that we can decise a plan to get you back on track. Withdrawing: Please note that the registrar has determined that February 26 is the final day to withdraw from a course this term. GRADING GUIDE: Your final grade will be computed according to the following scheme.